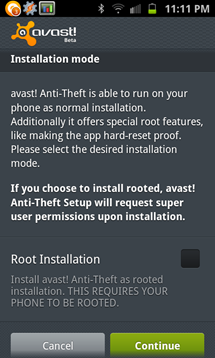 Avast has just launched its Mobile Security app for Android, integrating the pure power of Theft Aware (see our review) with some amazing new features. If you remember, Avast swallowed up ITAgents, the small company behind Theft Aware, back in September and promised to integrate it with its upcoming software. 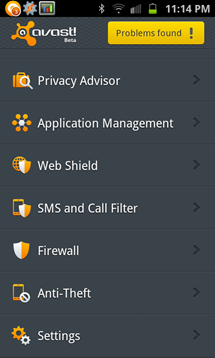 Even in its beta state, Avast's Mobile Security looks to be a very strong contender among the dozens of other security apps floating around in the Android Market. I dare say it has the potential to overshadow just about all of the apps in our Mobile Security App Shootout. 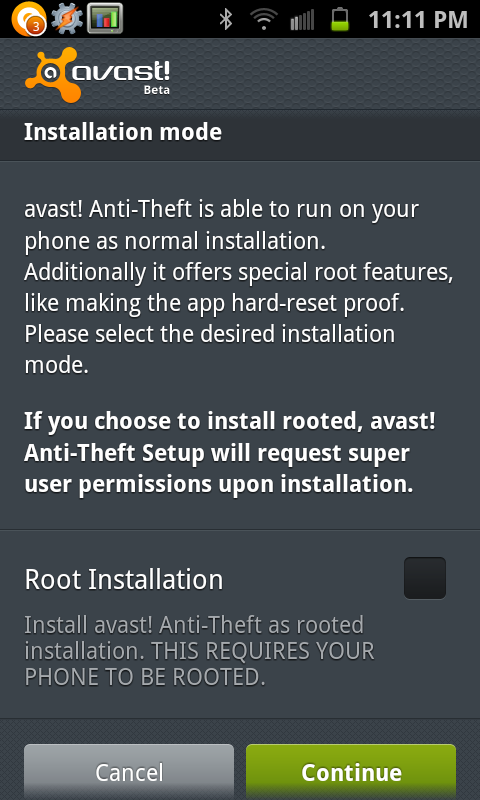 Included in Avast's long list of features are options such as antivirus scans, privacy reports, SMS and call filters, a built-in firewall (for rooted users), and a full suite of anti-theft features controlled via SMS (with advanced root support and a web interface to come in early 2012), as well as a ton of other options that promise to keep your device totally safe, while also keeping it out of the wrong hands. 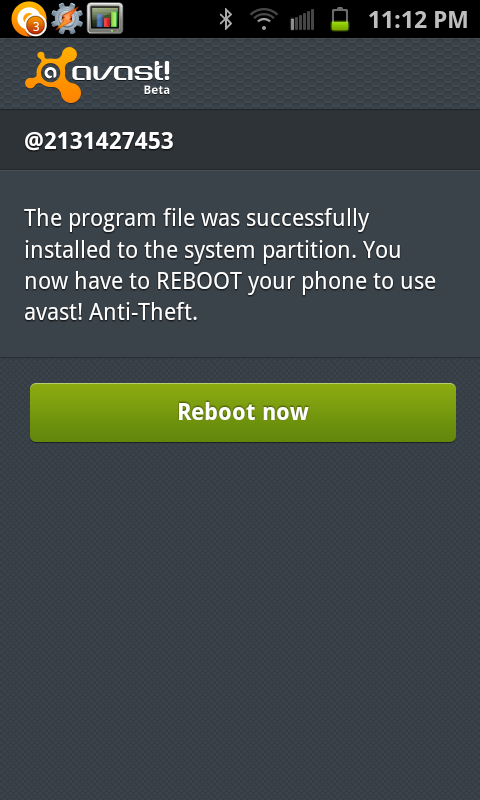 Did I mention Avast, including the rebranded Theft Aware module, is free? Yep, users can grab Avast from the Android Market at absolutely no cost, making this extremely sophisticated security solution accessible to everyone. It even has support for phones and tablets alike (though tablets can't receive SMS commands). 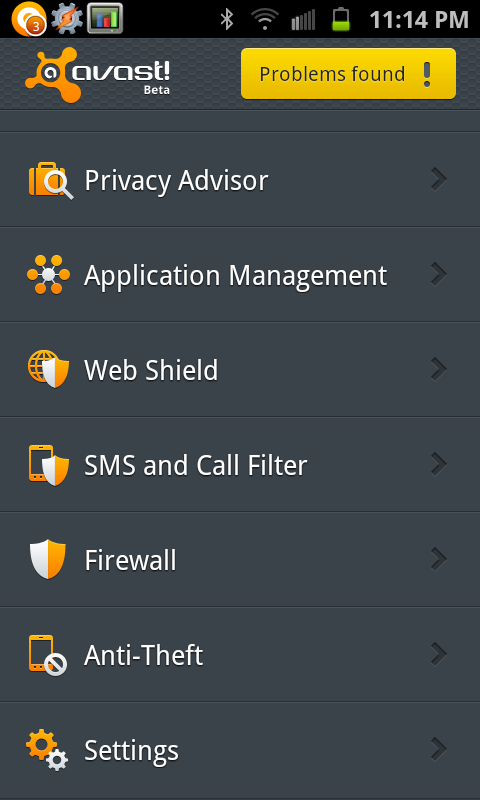 Once Avast adds a web interface (and multiple device support), I could see it becoming my top choice among security apps for Android, no question. 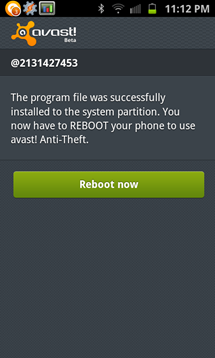 So head to the Android Market, grab Avast, and give it a whirl.